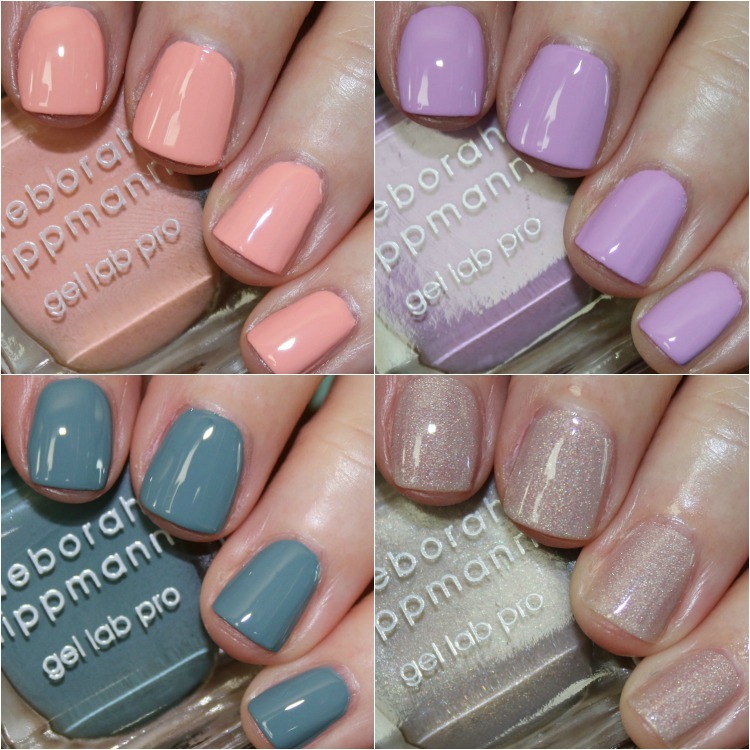 The Deborah Lippmann Afternoon Delight Spring 2016 Collection features a brand new formula from the brand called Gel Lab PRO Colors. Gel Lab PRO Colors is a dual-patented formula which is infused with 10 active ingredients to help with the health of nails, wear time and shine. It delivers a plumped up look similar to gel, without any nail damage. Some of the “healthy” ingredients in it are evening primrose, keratin, biotin and green tea extract. What helps with the wear is platinum powder and epoxy resin. And what helps with the shine are silk fibers and plexi glass. The brush also is new and features a rounded tip, which helps follow the curve of cuticles and spreads out across the nail easily. I personally LOVE brushes that have a curved tip because my manicures look so much better when I use this type rather than a squared off type. Less clean-up and a much better, precision application. Dirty Little Secret is a sheer greige with holographic shimmer. Since this is such a sheer shade I used three thin coats to build it up, which it does do nicely. It has what I consider to be a medium holo effect. 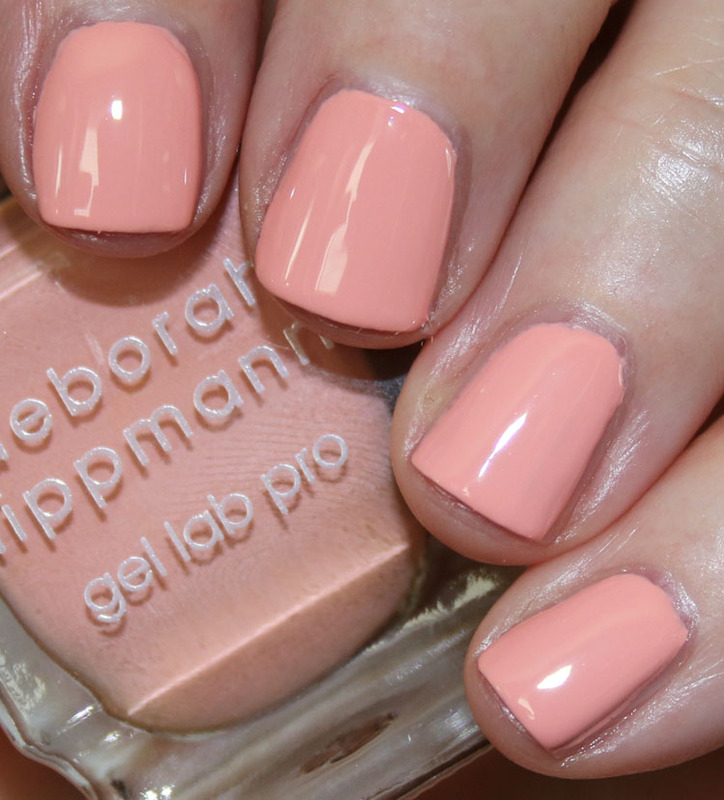 Peaches & Cream is a pale peach/orange creme. This is a very opaque shade and nearly covered in one coat but I used two. The Pleasure Principle is a light lilac creme. Gorgeous spring shade and it covered perfectly with two thin coats. Get Lucky is a medium sage blue creme. I really like this color because it’s a bit unusual and different from other blues/greens in my collection. Great coverage with two coats. I feel like the most unique shade here is Get Lucky and the others are pretty, but maybe not that interesting. I do really like The Pleasure Principle too, even though I probably have some like it already. They have a nice formula, but I cannot comment on wear because as most of you know, nothing lasts on me more than 48 hours so I don’t really ever discuss it. 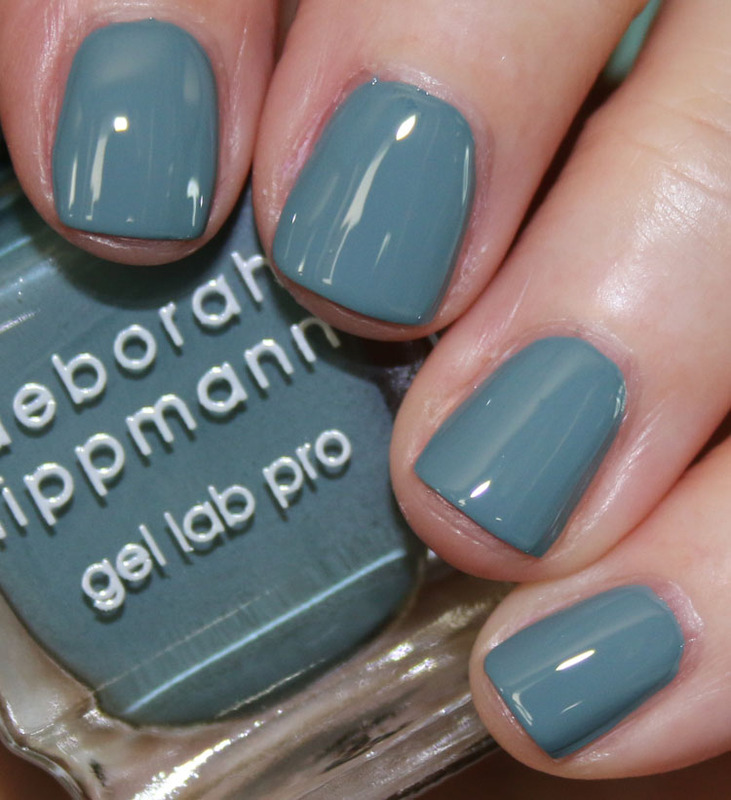 You can find these now at Sephora and Deborah Lippmann, and they are $20.00 each. Also at Sephora there is an exclusive purple shade called Afternoon Delight. Are you going to give these a go? Ooooooh I am liking Get Lucky! That is quite unique! Get Lucky does feel more unique. These are all very pretty! Love that the neutral has a little holographic sparkle to keep it from being too boring. I have been forever searching for a color like peaches n cream! Does this come off with regular nail polish remover or is this like actual gels?